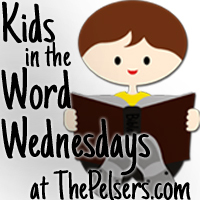 Last week, I shared how Jonathan has been reading through Genesis. He was so excited to finish that he read two chapters on Thursday and two on Friday. He was really anxious to start Exodus on Monday! I had to kick it in gear and make a new Bible Reading Journal for him over the weekend. So, Exodus is now available for you too! We are finishing using your Genesis printable journal tomorrow. Yay! 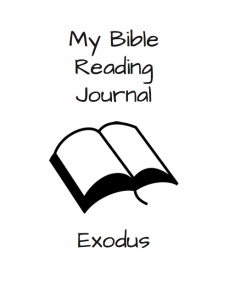 So, I decided to look tonight and see if you have Exodus, and I’m so excited that you do. Thank you. Wonderful 🙂 Jonathan wanted to read Matthew so that’s the next one I have available after Exodus.